Intro to Python workshop today! It will be taking place this evening at 6pm in Halligan 122. The workshop typically last 60-90 minutes. You are encouraged to show up early to get settled in and to grab some snacks. We will be providing some food to enjoy during the workshop. You may bring your own laptop if you wish, or you may use one of the lab computers. The programming we will be doing will be done through a web browser, and no special software will be required. 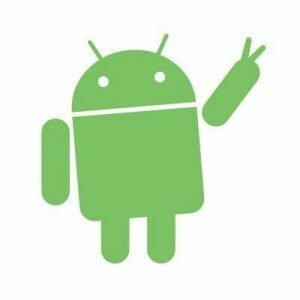 We will learn how to make our first simple Android app. 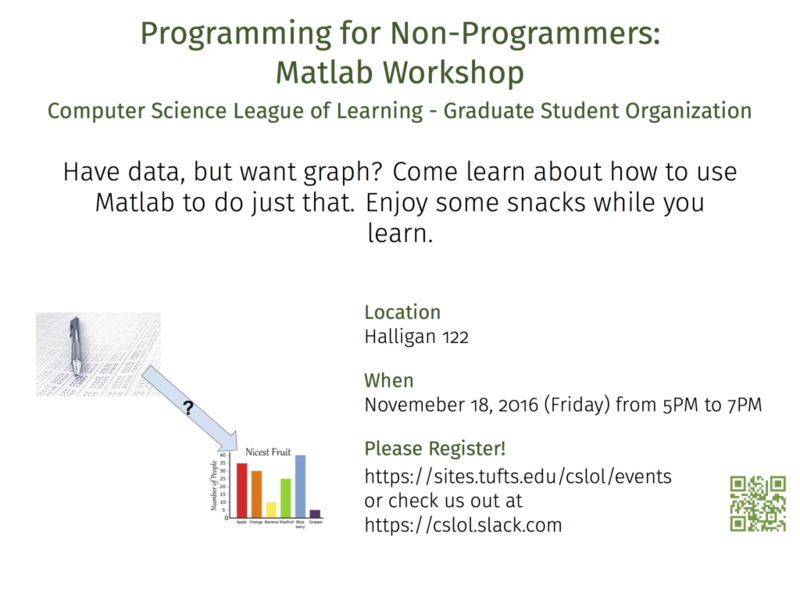 This course is free to all Tufts grad students. Please RSVP here. 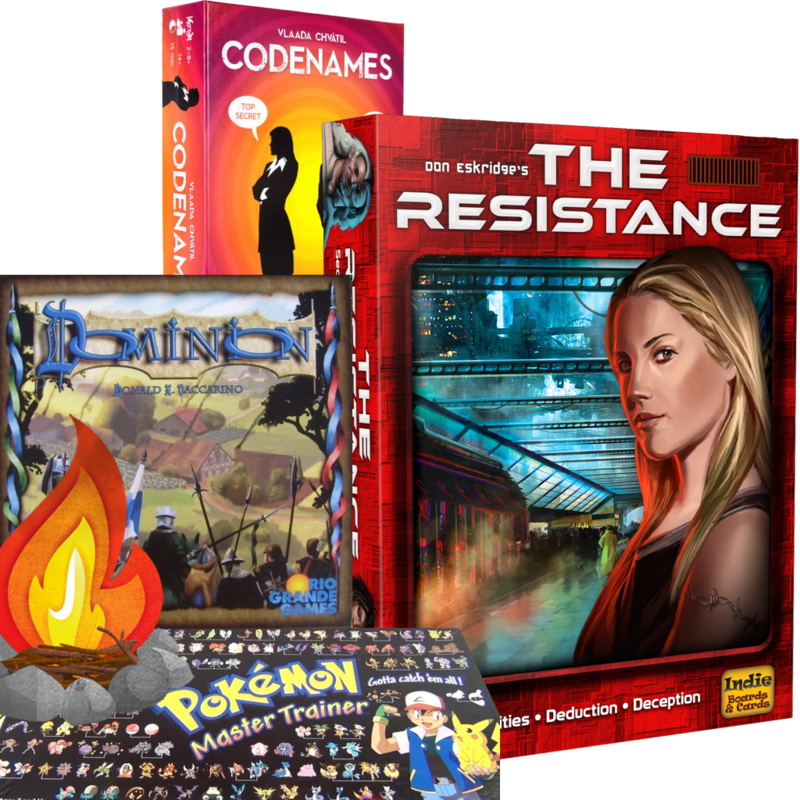 Come join us for Board Game Night this Friday, Jan 20th, at 5pm in the Grad student Lounge in Curtis Hall (by Brown and Brew/Post Office). We’re prepping for the ignite talks, so if you’re interested in hearing a demo round of six 5-minute talks come on down to 196 Boston Ave Tomorrow (Monday 11/7/16) at 5pm. 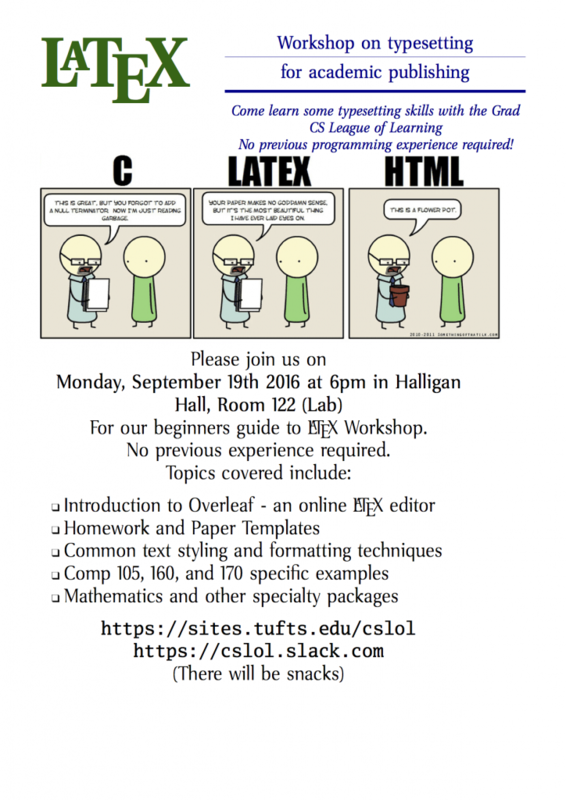 Reminder that today at 6pm is our LaTeX Workshop (Programming for non-programmers) with a focus on academic setting (papers and homework). Please find the attached resources that include my slides and a bunch of examples. and if you can, make an account on overleaf. Thank you. Content: Learning LaTeX from the perspective of making CS Homework and Academic papers (from templates) pretty! We will consider a rerun date, tentatively of Wednesday, Septermber 21st, 2106 @ 6pm in Halligan 122 (Lab) if there is any interest, or another time TBD. Please contact me (matt.p.ahrens (at) gmail (dot) com) if you would like to propose another date for a rerun / have interest. Come celebrate the end of the semester with us on Halligan Front Lawn for an impromptu picnic. Food is provided, but feel free to bring a dish or dessert or whatever else. Bring your own lawn chair / beach towel but there are the two picnic tables out there. Hello All! Please feel free to join us in Halligan 102 @ noon. May 5th (Cinco de Mayo) for free food and our general meeting where we will be discussing summer plans. Today our Java programming workshop handout! Copyright © 2015-2019 Computer Science League of Learning All rights reserved.